Earlier, According to BBC, Yulia Skripal the daughter of former Russian spy Sergei Skripal has regained consciousness and the ability to talk. 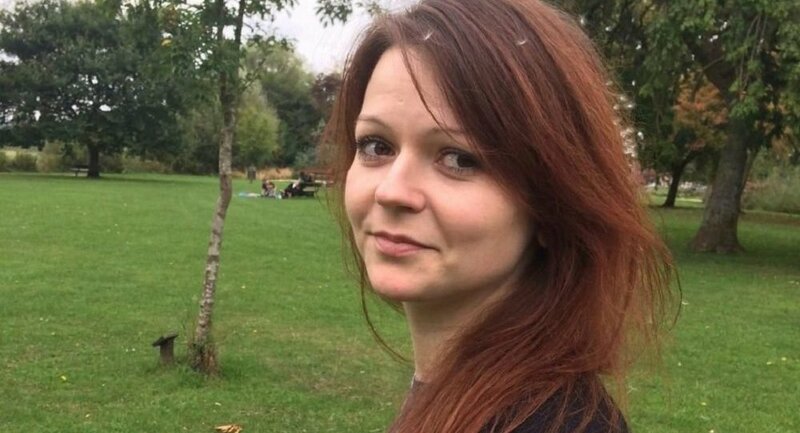 "The daughter of a Russian spy who was poisoned in an attack using a nerve agent in Salisbury, as far as we understand, takes food and drinks in the hospital," Sky News reported. On Thursday, the British National Health Service issued a statement saying that Julia Skripal, along with her father, who was attacked using a nerve agent in the British town of Salisbury, was recovering. Earlier, Russia's Investigative Committee has requested the UK authorities to provide legal assistance in the investigation into an attempted murder of Russian citizen Yulia Skripal. Sergei Skripal, a former colonel of Russia's GRU military intelligence service who also worked for UK intelligence and his daughter Yulia have been in hospital in critical condition since March 4. UK authorities believe that the Skripals were exposed to the A234 nerve agent, which UK experts have claimed is connected to the Novichok-class nerve agents developed in the Soviet Union. London has stated that it was "highly likely" that Moscow was behind the attack. Over 140 Russian diplomats from more than 25 countries, including many EU members and the US, were expelled over Moscow's alleged involvement in the incident. Moscow has strongly rejected the accusations and offered assistance in London's investigation into the Skripal case.